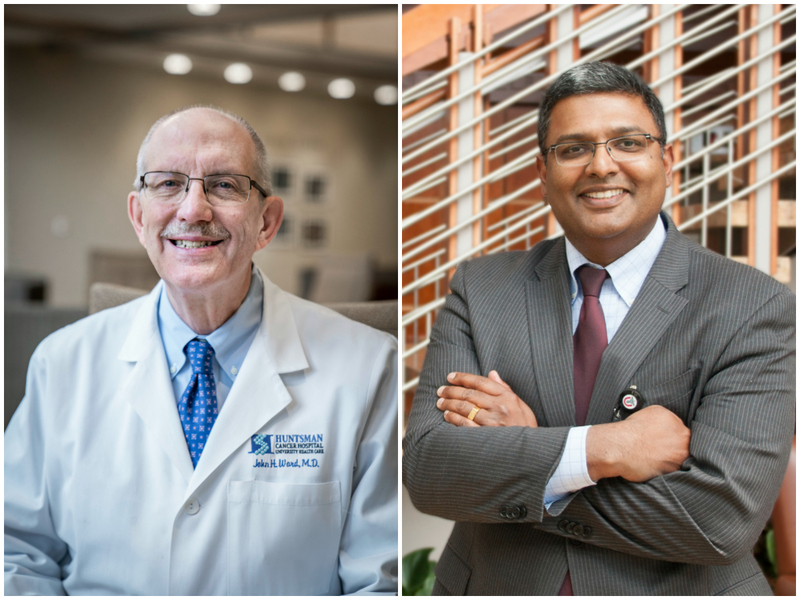 Dr. John Ward | Dr. Thomas Varghese Jr.
John Ward, MD, will serve as Interim Senior Director for Clinical Affairs and physician-in-chief of HCI. He will continue to care for breast cancer patients at HCI and serve as a professor of internal medicine at the U of U while assuming these new responsibilities. Ward is an oncologist, scholar, and educator who trained at the U of U and Duke University. He joined the U of U faculty in 1982. Ward has held several major leadership roles including chief of the Division of Medical Oncology from 1999-2012 and medical director of Inpatient Cancer Services at University Hospital, and subsequently HCI, from 1988-2015. Thomas Varghese Jr., MD will serve as HCI’s Interim Executive Medical Director and will be one of HCI’s representatives on the board of directors of the National Comprehensive Cancer Network. Varghese currently serves as HCI’s chief value officer. Varghese is an associate professor of surgery and head of the section of general thoracic surgery. He holds national leadership positions in the Society of Thoracic Surgeons, the Surgery Directors Association, and the American College of Surgeons. Varghese will continue to care for surgical patients as he takes on these new responsibilities.